Water is very powerful and vital for good health and wellbeing. 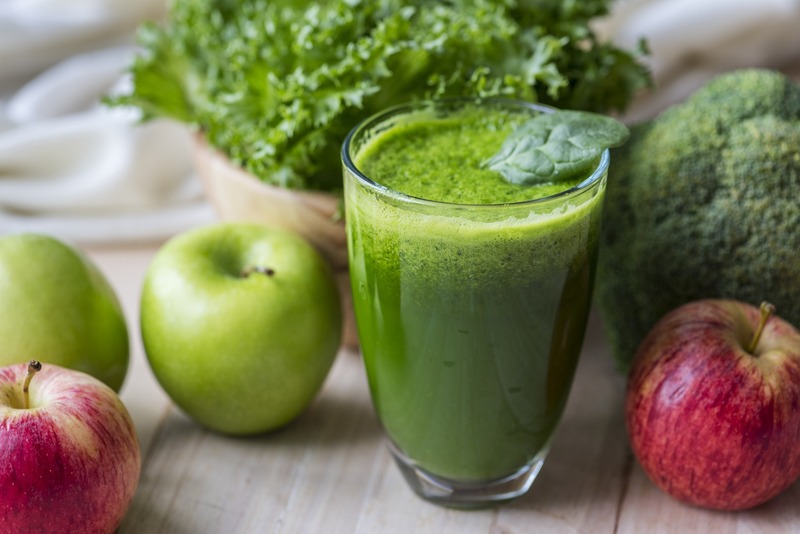 We’ve talked about the importance of filtering your drinking water, however there are other ways to improve the quality of your water, such as using an alkaline water ionizer machine. 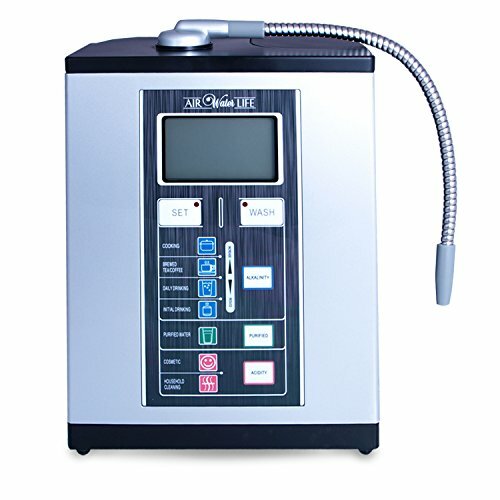 An alkaline water ionizer machine uses the electrolysis process to create more alkaline water and to increase the alkaline potential of the water, to help bring you better health and better tasting water. What are the best water ionizer machines on the market 2019? 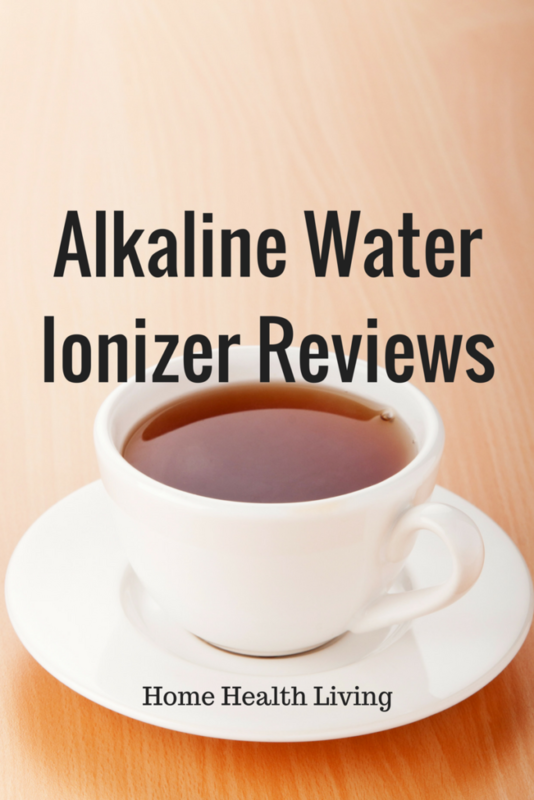 What is an alkaline water ionizer and how does it work? Which is the best alkaline water ionizer machine for your source water? If you’ve decided to take the step to invest in an alkaline water ionizer, you’d want to be spending your money on the best water ionizer machines currently on the market. 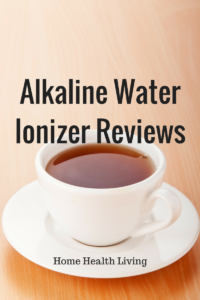 And because an alkaline water ionizer is more expensive than purchasing and setting up a water filter system, it’s best to read as much information as possible and read alkaline water ionizer reviews before making your purchase. That’s why we’ve written a review post of the best water ionizers for home use, currently on the market. We’ve brought together information, features, buying tips and advice to help you make a more informed decision. If you’re ready to buy a water ionizer and you’re trying to find water ionizers for sale, then please click on the links or images below. These links will take you to more information, consumer reviews and the option to purchase when you are ready. You can also view our water ionizer comparison table that shows you the differences between each ionizer machine. The IntelGadgets IT-580 alkaline water ionizer machine is an entry-level and affordable alkaline water ionizer. It’s ideal for those who are looking for the best and cheapest alkaline water ionizer. You may be uncomfortable with the average price of other alkaline water ionizer machines on the market. Machines such as the Tyent water ionizer are over $3000! 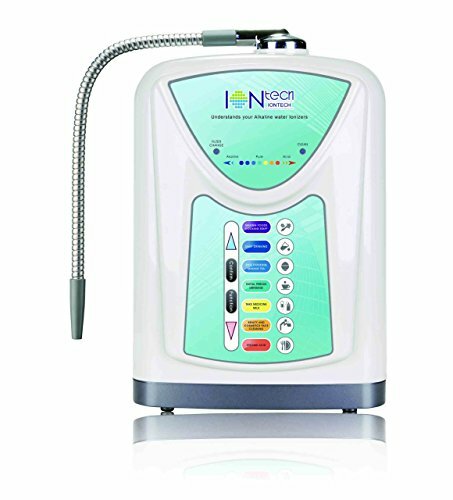 The water ionizer features 5 titanium electrolysis plates that are platinum-coated and are manufactured in Japan from KOBE steel. The ceramic ion membranes are manufactured in Japan and are non-toxic and temperature-resistant. There are 7 different water level selections you can make, with 4 different levels of alkalinity, 1 level for purified water and 2 different levels of acidity. There is an extra-long and flexible tube for easily dispensing water. Using electrolysis, the IT-580 separates tap water into acidic and alkaline water. The alkaline water ionizer also filters the water from common pollutants and odors such as chlorine and residual salt using an efficient activated carbon filter. It has a typical life of around 1585 gallons (6000 litres) or 6 months before needing to be changed. The alkaline water can be used for drinking, cooking, cleaning and making tea and coffee. The acidic water is not suitable for drinking however can be used for facial cleansing, cleaning floors, for washing sensitive skin, relief from sunburn, as a natural after-shave and to help remove chemicals on fruits and vegetables. What we really like about the IT-580 alkaline water ionizer is the safety feature that kicks in to prevent you from accidentally consuming acidic water. The safety feature shuts off the water flow automatically and converts to alkaline water to stop this from happening. There is also another safety feature that prevents the machine from overheating. This works by using a built-in thermostat. The IntelGadgets alkaline water ionizer has a soft-touch button control panel with a range of different features and options available. It has indicator lights that tell you when to change your filter and when to clean the machine, so that you don’t have to guess. These same indicator lights let you know if your water is acidic or alkaline (red for acidic, green for alkaline), and there are clear color codes available to let you know the pH level of your water. There are buttons with text and icons to help you choose the water level you want according to what you want to use the water for, for example, “making coffee/tea”. When it is time for a thorough clean, at the press of a button, the IT-580 will perform a full 2-minute cleaning cycle for you while playing music at the same time. Once the music finishes, you know that the cleaning cycle has also ended. You’ll know when the machine needs to be thoroughly cleaned by hearing an alarm that sounds once alkaline production has exceeded 8 gallons (around 30 litres). The plates do not need to be replaced however the manufacturer recommends cleaning them every 1-2 years either by using a cleaning cartridge or running the acidic water backwards to clean the plates. All components are BPA-free and lead-free and are made from food-grade materials. When you buy the alkaline water ionizer, in addition to the machine you will receive 1 alkaline water ionizer activated carbon filter, all requires hoses and connectors, a user manual and a free water pH testing kit. There is a 2-year warranty. The Aqua-Ionizer Deluxe by AirWaterLife is an alkaline water ionizer machine that features 7 platinum-coated long-life and energy efficient electroplates made using advanced technology. It also filters your water. It’s a great choice for those wanting an excellent quality alkaline water ionizer that has all the certification to prove its quality claims. The water ionizer is certified 100% lead-free and pure titanium is used to form the plates before being platinum coated. It is made in the U.S.A. The machine features ultra-responsive touch controls and has an LCD display screen. There are 7 water options available for you to choose: 4 ionized alkaline water levels, 1 non-ionized purified water level and 2 ionized acidic water levels. You can make your choice by pressing one of the icons that represents the different ways that the water can be used. For example, “Cooking”, “Initial Drinking” or “Household Cleaning”. The ionizer machine then creates water that is suitable for the particular use chosen. The alkaline water ionizer features a built-in activated carbon filter that filters out typical contaminants in your water, such as chlorine, benzene, trihalomethane, radon, pesticides and volatile organic compounds (VOCs). The filter can purify just over 1000 gallons (around 4000 litres). Many people ask whether it filters out fluoride and no, it does not filter fluoride. Activated carbon filters do not have the capacity to remove fluoride. The only way to remove fluoride is by using a reverse osmosis water filter system. While this is a countertop water ionizer, you can use it under the sink providing you purchase the additional plumbing kit. The machine comes with the required attachment to use with most types of faucets, as well as the required tubes, fittings and installation hardware required for you to set it up yourself. What we like about this particular alkaline water ionizer machine is that it has a 3 stage cleaning cycle. The first stage is a self-cleaning function that cleans the unit after each use. After 15 minutes of continuous use, the positive and negative poles of the plate reverse automatically for about 10 seconds. The second stage involves auto-cleaning where the machine uses an auto-plate washing function after every 10.5 gallons (around 40 litres). The final stage occurs after the machine has been in use for a year, with a manual clean required using the provided cleaning agent. What sets the Aqua-Ionizer Deluxe from other top water ionizers is that each and every component of the machine is made from FDA-approved plastics. Other ionizer manufacturers do not have the same FDA approval. 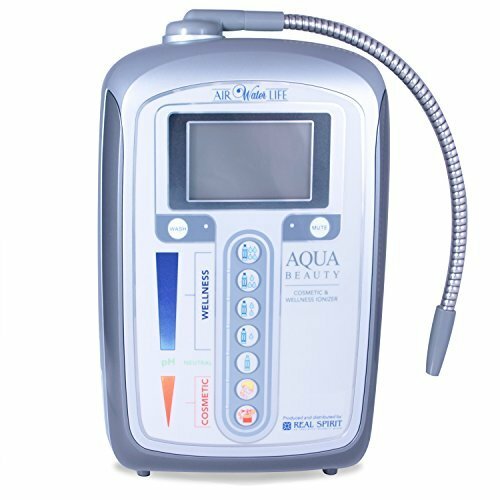 The Aqua-Ionizer Deluxe is also ETL listed, RoHS Certified (lead-free), and is an ISO-9000 certified manufacturer. ORP value: Maximum of -850mV. There is a 5-year limited warranty. For those who are after the top-of-the-range alkaline water ionizer machine and budget is no issue, the Aqua-Ionizer Deluxe 9 plate alkaline water ionizer machine by Air Water Life is the best water ionizer on the market for you. It is Air Water Life’s most advanced and powerful water ionizer. It features 9 platinum-coated titanium electroplates, more than most others on the market, and is a countertop water ionizer with a faucet diverter. Its built-in activated carbon water filter purifies over 1585 gallons of water (around 6000 litres) before needing to be replaced. It has 7 healthy water options with different alkaline and acidity levels. From 11.5 pH “Cooking” setting to the acidic cosmetic setting of 3.5 pH for cleaning kitchen counters without the need for harsh chemicals. Unlike other top water ionizers on the market, this machine also takes hot water up to 165 degrees Farenheit, useful for when you are making tea or coffee. It features a 3-stage cleaning cycle. The first stage involves the positive and negative poles of the plate reversing automatically for 10 seconds. This occurs after every 15 minutes of continuous use, as soon as the water stops. This cleaning step is important to prevent calcium build up and to ensure the machine is working to its maximum abilities. The next stage in the cleaning cycle involves an auto-cleaning function, and after 1 year of use, it is recommended that users perform the manual cleaning function using the cleaning agent that Air Water Life provides when you purchase the alkaline water ionizer. 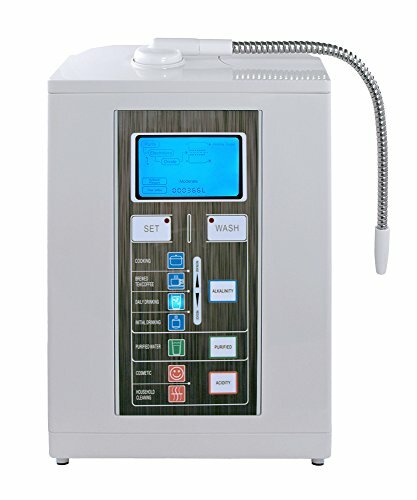 The Aqua-Ionizer Deluxe 9.0 alkaline water ionizer is ETL, RoHS, ISO 9000 and JCII Japanese certified. Its components are made from FDA-approved plastics. After-sales support is available from the company’s USA-based customer service department. ORP value: Maximum of -860mV. Air Water Life’s Aqua Ionizer Deluxe 5.0 alkaline water ionizer machine is an effective water ionizer that has high quality components and is very easy to set up and use. It is a counter top machine that comes with the faucet diverter included. It features 5 platinum coated titanium plates that are long-life, durable and efficient in how they operate. This is because titanium is the most advanced and best quality plate used in electrolysis. The platinum coating ensures that the quality of the plates does not reduce over time- it remains as efficient and strong as the day you purchased the alkaline water ionizer. Even though the Aqua Ionizer Deluxe 5.0 alkaline water ionizer does not have as many plates as the 7.0 or 9.0 models, it is still a very efficient and cost-effective water ionizer. The alkaline water ionizer machine also includes a built-in activated carbon filter that removes chlorine, chloramine, heavy metals and odors in your water to give you filtered water at the best pH level for your needs. The water filter can filter up to 4000 litres of water before needing to be changed. There are 3 cleaning cycles. The unit cleans itself after each use by reverse the polarity of the plates. There is also an auto-washing function for the plates. After 1 year of use, you will need to manually clean the plates using the cleaning agent that is provided when you purchase the alkaline water ionizer machine. As with the other Air Water Life water ionizers, there are 7 healthy water settings, with 4 alkaline settings, 1 neutral setting and 2 acidic settings. To choose a setting, simply press the relevant colored icon on the machine, and you are ready to go. There is also clear labelling telling you which options are for wellness water, and which options are for cosmetic purposes- ie. Acidic water is suitable for cleaning and cosmetic purposes only and not suitable for drinking or cooking purposes. If you are wanting to install the Aqua Ionizer Deluxe 5.0 alkaline water ionizer machine under the sink, you can purchase a separate installation kit to help you do this. You can also purchase separately inline fluoride filters if you want to remove the filter in your drinking water. Please contact the manufacturer for warranty information for this model. A water ionizer is a machine that raises the pH level of water by separating the acidic and alkaline components of water. It does this by using electrolysis. The water ionizer connects to your kitchen water supply and performs electrolysis on your tap water before you drink it. This occurs when a special connection diverts water from your faucet into the water ionizer unit. There is an inflow of filtered source water (using the filters that are built into the water ionizer machine, or a separate filtration system that you have purchased). This source water contains both positively and negatively charged water molecules. The metallic plates of the alkaline water ionizer are polarized, and positive cations are attracted on one side while anions (negatively charged ions) are attracted to the other side. The water has been separated into two types of outflow. One outflow is concentrated acidic water while the other outflow is concentrated alkaline ionized water. Your alkalized water has extra electrons, which gives the water a negative charge. The negative charge is measured in ORP. A water ionizer charges the water with a negative ORP. This means that your water has spare electrons that can neutralize the free radicals in your body. The acidic water is waste water, however you can collect this water to use for cosmetic and cleaning purposes. The alkaline water is ready for you to drink, to make tea or coffee with or to use while cooking. As mentioned when reviewing each of the best water ionizer machines in this post, the pH and ORP levels depend on the quality of the source water. As many of us would be aware, source water can differ from town to town, state to state and between tap water and well water. Therefore, the effectiveness of your alkaline water ionizer depends on the quality of your source water to begin with. The best alkaline water ionizers featured in this review post are all suitable for city and well water sources, however the 7 plate and 9 plate alkaline water ionizers are more effective and result in better ORP values. If you believe that the quality of your source water is questionable, or you have concerns about fluoride or possible lead in your water, then you may wish to add additional filters to filter out dissolved solids and chemicals out of your source water. You can purchase these at the time of purchasing an alkaline water ionizer machine- Amazon sells a range of filters, and you can read more about the best water filter for home use over here. The built-in filters, and add-on filters available with most alkaline water ionizer machines do NOT remove fluoride from the water. You would need to look at purchasing a water filter that removes fluoride, which you can read more about here. If you have pre-filtered your water and you are concerned about the minerals that may have been removed during the filtration process, you can add back minerals into your water by using a mineral filter, prior to ionizing the water. This is important for those who have a reverse osmosis filtration system, because reverse osmosis causes minerals such as calcium and magnesium to be removed during water filtration. Read more about reverse osmosis here. Our best water ionizer reviews and buying guide should give you more information and the confidence in making the right decision when buying a water ionizer. Our alkaline water ionizer comparison information can also help you easily see which water ionizer would be the best for your needs. If you aren’t ready to purchase a water ionizer just yet, then why not take a look at an alkaline water pitcher instead? Remember, to improve the taste of your drinking water as well as the health benefits, you need to not only ionize your water but also filter the contaminants and odors out of the water. For more information about water filter systems and options, please read our comprehensive buying guide. Disclaimer: This post contains affiliate links. If you make a purchase via these links, we may be paid a small commission at no extra cost to you. Thank you for supporting our family! Found this post helpful? Share with others!